When I discovered this quote a few years back, suddenly everything made sense. I understood why I was creating certain images, why I associated photographs with music or quotes from books, why certain photographs reminded me of old memories. I try to find inspiration in everything, from the music I listen to, the books I read and the things I see around me. I’ve got notebooks full of quotes, memories, images and still from films that have got me excited and pushed me to create. To me, all these things go hand in hand. Books I have read at times have pushed me to create photographs, while a photograph I have taken has reminded me of a song I had long forgotten. I’ve been using my iPhone and instagram account quite a lot over the past year or so. It’s become a visual diary for me, keeping track of the world around me and the things I see. Every now and again I add quotes, to the images. These tend to be from my favourite authors or from songs I love. Normally, it is because while I was taking that photo, that is what popped into my head or what I was listening to at the time. I have been thinking about sharing some of these images on here…what do you think? 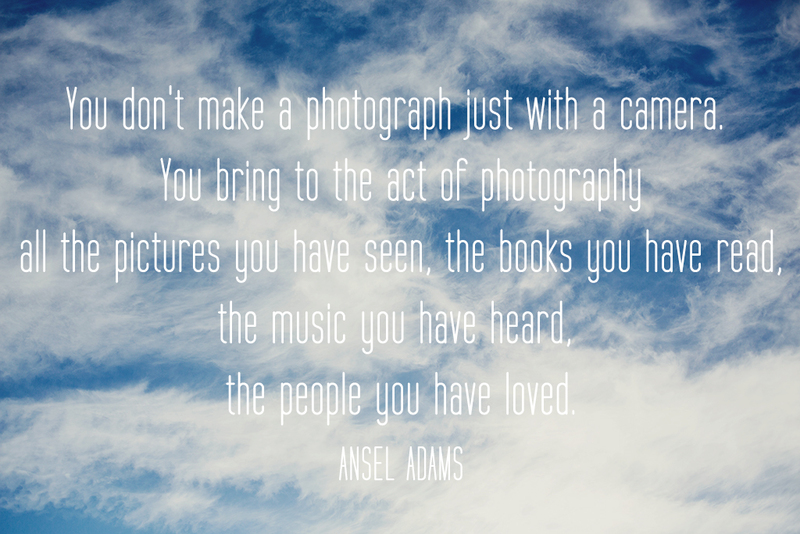 I agree, but more if you are making photos for personal reasons…I tend not to have such strong associations when making photos for other people. Lovely quote and excellent point, it’s good to remember to look for inspiration in the most unlikely of places. Yes yes and yes please! I love your images, and find the quotes intriguing. Go forth!